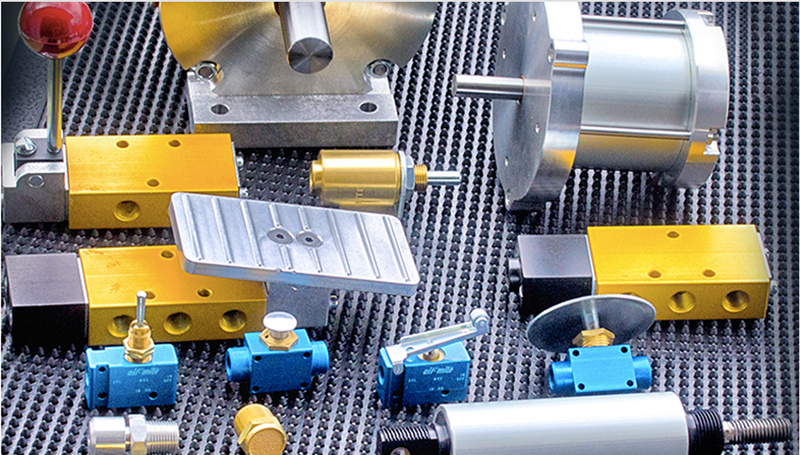 These products are designed for pneumatic systems, and include a complete range of components,from filters to valves, lubricators, flow controls, regulators and actuators. We also include pneumatic counters and timers, high pressure cylinders, air manifolds, and many other custom components which our manufacturers are happy to supply. 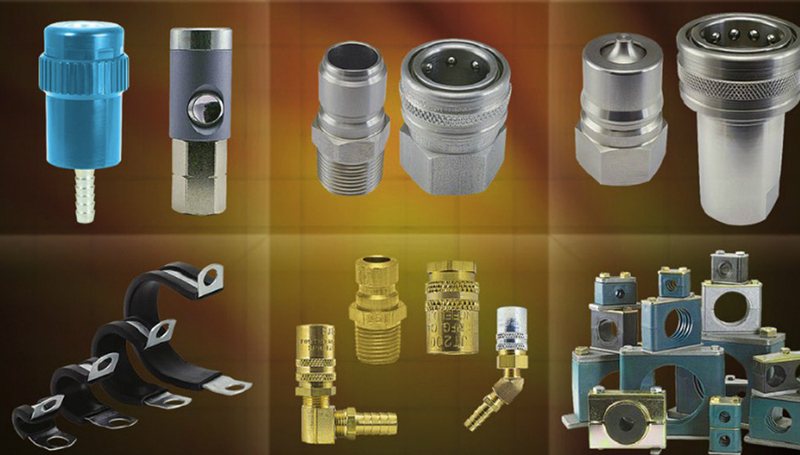 We have a wide range of hydraulic products on hand, which include hydraulic hose, filters, strainers, reservoir accessories, pressure gauges, hose fittings, adapters, O-ring seal tube fittings, cylinders, flow controls, couplers, hydraulic pumps and many others. As with our pneumatic line, custom components may be available upon request. We have a wide range of hydraulic products on hand, which include filters, strainers, reservoir accessories, pressure gauges, hose fittings, adapters, O-ring seal tube fittings, cylinders, flow controls, couplers, threadlocker and many others. As with our pneumatic line, custom components may be available upon request. 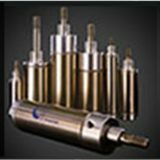 From American Cylinder and Air Mite, offer non-repairable, linear slide LSC-series, low profile LPC-series, tie rod, and special design pneumatic cylinders in a variety of sizes and materials, from stainless steel, to corrosion resistant, heavy duty aluminum. 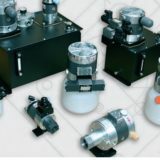 We distribute air presses and valves from Air Mite. Designed with affordability, quality and versatility in mind, the presses & valves are customizable, and can be made to order. Presses range from 400 lbs at 100 psi to heavy duty models at 5730 lbs at 100 psi. The range of valve models includes ball cam control valves, lockout control valves, palm button control valves and many others. When sourcing hydraulic hose and couplings, we work with Eaton. 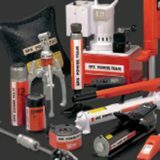 This line of products includes industrial, rubber, beverage dispensing, PTFE, Subsea and thermoplastic hoses, a variety of accessories, assemblies, tubing, and hose condition monitoring systems. 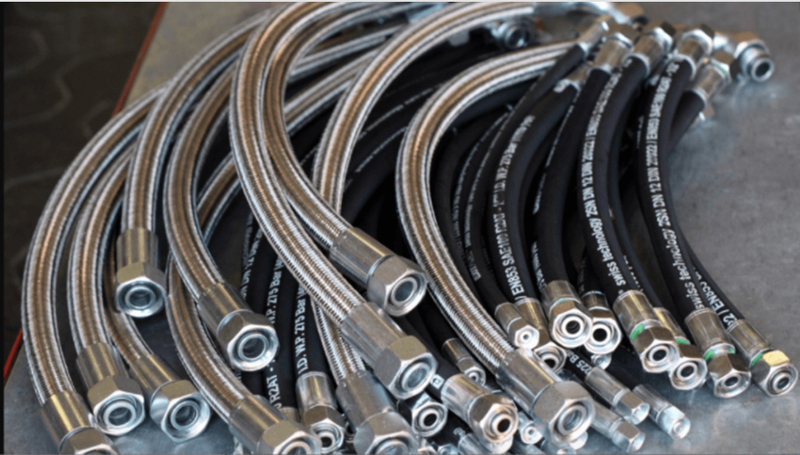 These hydraulic hoses and couplings are designed to operate within wide pressure ranges, and to have optimal levels of abrasion resistance, long-term durability, and highly effective transfer capabilities. 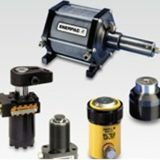 Yuken, HEYPAC and Enerpac are our main providers of hydraulic pumps, valves and motors. Between the three manufacturers, there are thousands of possible hydraulic power unit configurations, including electric driven, air driven, gas powered, battery driven and manual pumps. All three companies offer a plethora of matching tools and accessories. If you need hydraulic pumps then you need to talk to Dewald Fluid Power. Sourced from Butcher Hydraulics, Delta Power, MTE Hydraulics, SPX Hydraulic Tech, and Yuken, our power units, both DC and AC, can be custom designed for thousands of applications, with different power motors, pump displacement ranges, reservoir tanks, single phase and three phase AC motors and so on. 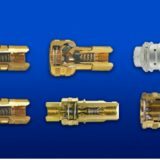 We distribute high quality quick connect couplers and hose clamps from Foster, an industry leader for quick coupling. Their wide range of products includes beta, cushion, i nsulation, loop, hose, cable, beam and Z-clamps, along with cushion strips, gamma pads, and insulation saddles. 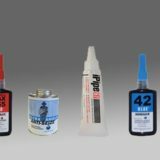 Supplied from Dewald Engineered Adhesives, we offer an extensive range of threadlocker, sealants and other anaerobic adhesives. These products are the perfect option for sealing threaded parts and other assemblies, being able to withstand extreme pressure, vibrations and even chemical attacks. Dewald Engineer Adhesives is your source for the best threadlocker available. 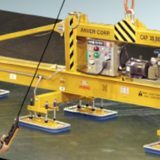 The vacuum lifting equipment from Anver Corp is second to none. Since 1968, Anver has been a leading manufacturer of Made in the USA suction cups, vacuum lifts, vacuum lifting equipment and vacuum system components for all application. From small air grippers for bottles, to large capacity industrial vacuum lifters, Anver delivers. 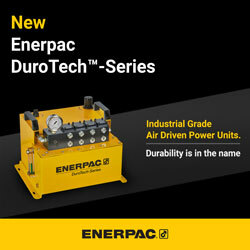 We also distribute workholding devices from Enerpac and Roemheld. 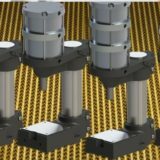 These hydraulic, high pressure devices are perfect for positioning and clamping down tools, especially in the automotive manufacturing industry. 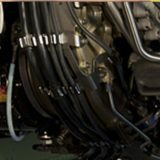 When it comes to hydraulic pumps or hydraulic hose, there is only one name to remember: Dewald Fluid Power. We have been in the business of pumps and hose for longer than we can remember. We have great relationships with many suppliers in and around the area, so are confident we can supply you with whatever you need. 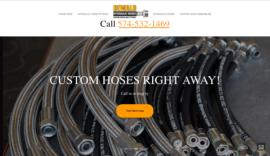 From the aforementioned hydraulic pumps and hoses, to threadlocker, quick connect fittings for those hoses, air cylinders and more. There is no better source for all your hydraulic needs than Dewald Fluid Power. If we don’t have it in stock, we can source it for you from one of our dozens of suppliers and if they don’t have it, we can probably custom make it for you quickly and easily. To find out how we can help you, or if you are looking for hydraulic pumps or hydraulic hoses, or even if it’s just some threadlocker you seek, please don’t hesitate to contact us. Click here to Contact Us, and fill out our simple form and tell us what you or looking for, or click to call us: 574-255-4776 and speak with someone directly.